These days, there are many security companies on the market that are racing to raise money to place their print on the security industry. One such company that is currently flying through the race is Alarm.com. Some recent news reports from last year regarding the company indicate that it is filed for an Initial Public Offering with the Securities and Exchange Commission in hopes of raising $75 million. As you may be thinking, $75 million is a lot of money to raise for home automation technology. At this point, many potential customers and security experts are wondering if the money raised was well worth it. Fortunately, this review is going to take a look at Alarm.com by analyzing the success of its current home automation products. 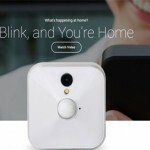 In evaluating the current state of home automation security company, not only has it surpassed its competitor Comcast in customers and sales by sporting over 2.3 million subscribers and millions in revenue, but it has also developed features that every home should have – ten of which are enumerated below. 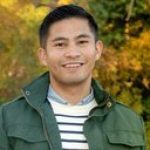 What are Alarm.com Customers Saying? 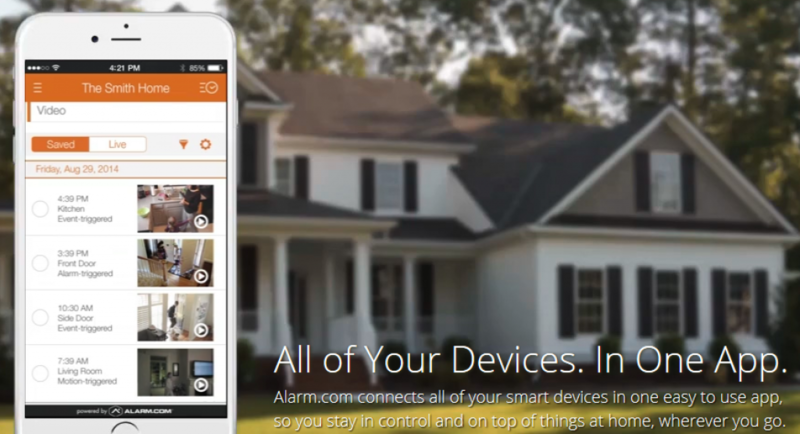 Alarm.com specializes in home security and smart home services. The U.S. based technology company was founded in 2000 in conjunction with MircoStrategy’s research and development unit, only to eventual branch out as its own separate brand. The company is known for its cloud based services that provide remote control, monitoring, and home automation technology. In addition to focusing on these areas of security, the company recently came out with mobile applications, web based applications, and energy management tools that give users the ability to remotely control functions such as heating and cooling in the home. Unlike other security companies, Alarm.com works to integrate multiple home security systems, thereby giving users the opportunity to take advantage of a home automation system that suits them. 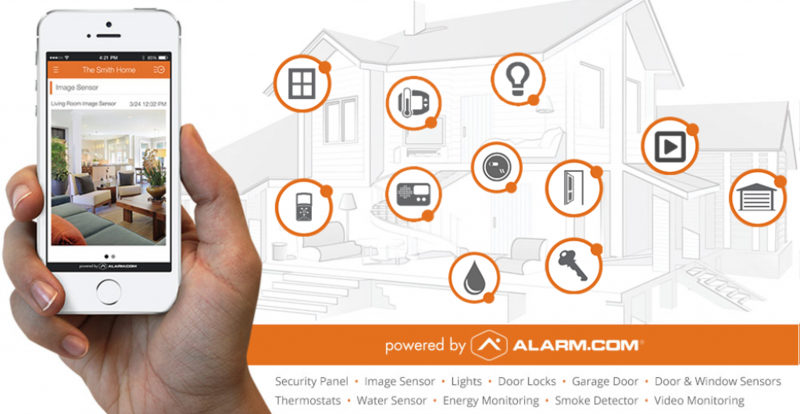 One of the primary reasons we featured Alarm.com in one of our reviews is that it has surpassed expectations in terms of powering a smart home. Dissimilar to many other home security companies, Alarm.com markets innovative technology that gives users endless capabilities to allow them to take charge of their home security. 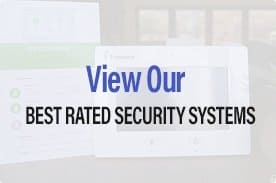 Before delving into a review of Alarm.com and what it offers, let start by taking a look at what matters most at this point – the must have features by the security company that are integral to great home security. As with any home security system, you deserve to have the best features that are going to provide you with the most protection. Various home security systems offer different networks. Some companies like to set themselves apart by offering something completely superior to the general approach and Alarm.com is one of those companies. The home security company offers what is known as a GSM security connection, which stands for Global System for Mobile Communication. This security connection differs from the standard cellular communication that takes place over an air interface. In the most standard approach, anyone can access the network and listen to any of the communications that take place between two parties. Alternatively, a GSM security network has a number of safeguards in place to protect the entire system. For example, with GSM everyone on the network is authenticated through registration, secure data transfer takes place only through encryption, the identity of the subscriber is protected, and you cannot duplicate a SIM and use it on the network. In addition to safeguarding communications that take place over your home security network, the network will also maintain a dedicated connection that operates even in a power failure. It really does not get any more secure than this. Alarm.com is an interactive security network, which really comes in handy for people who are looking for a reliable and secure network that they can be a part of the monitoring process. The interactive security allows you to arm and disarm the system, receive email and text notifications to your smart phone, and you can even monitor your property from wherever you are. Also worried you forgot to lock the front door? You can take care of it too with the mobile application that controls your locks. When in comes to this feature, it really is either a hit or miss. Some companies have successfully developed remote monitoring, while others make it difficult to coordinate and view. Alarm.com is perhaps one of the most successful in this area, which is why this security feature is a must have. With this remote monitoring, you can view all of the access points of your home and follow who goes through them. Access points include windows and doors and when someone goes through them, you will get real-time notifications. This makes monitoring a breeze. If you are looking for an alarm and energy management system, then alarm.com is a prime solution. 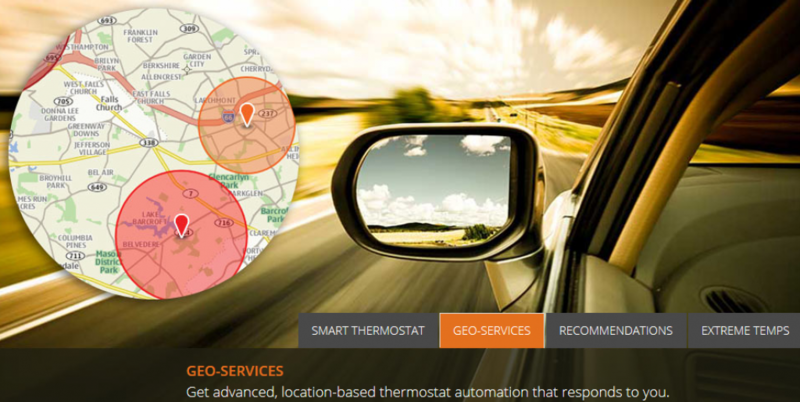 You can save energy and remain comfortable with using Alarm.com’s responsive Energy Management Solution. The video monitoring system is completely inclusive and provides you with more features than most standard home security systems. For example, you can view from your smartphone videos that stream from your property, there is a pan and tilt camera feature on any application you are using, and you can view everything in one single screen. 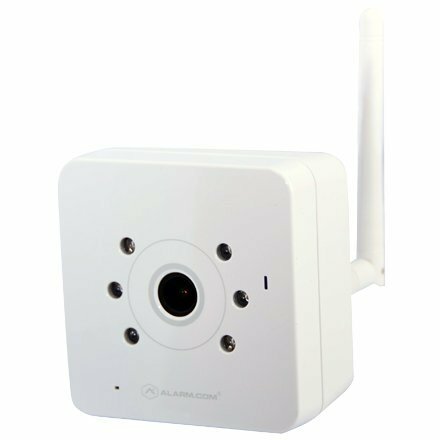 If you want, you can even view multiple locations on one screen and integrate your current video cameras with Alarm.com’s security system. The final feature is one of the best bonuses, since many brands require you to use their own technology. One especially unique monitoring feature is the smart clip capture. 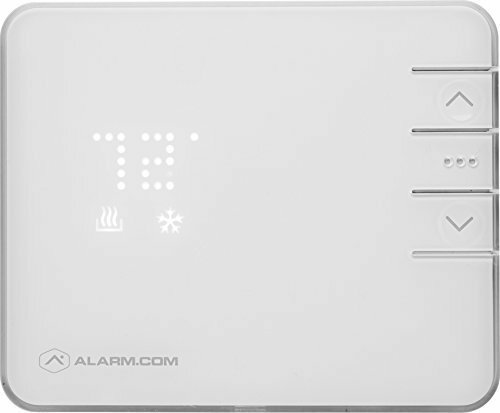 With this feature, your alarm.com system will capture the moment that someone enters your property and an alarm goes off. This not only gives you a view of who is breaking it, but it also records the activities that are taking place so you can take action accordingly. Alarm.com’s geo-services feature allows you to control how much you record with your system. For example, you can set the alarm system to record footage only when you leave the house, at night, or at certain hours of the day. Ultimately, this system gives you unprecedented control over your home and safety. Sometimes, for extra security you need to be able to view things after the fact. Fortunately, Alarm.com also offers you the opportunity to browse through the clip library that it assembles during your set monitoring hours. The clip library allows you to browse through captured footage and images so you can review for suspicious activity. Also unlike other automated systems, Alarm.com uses local monitoring centers in your area to notify authorities in case of an emergency. With a monitoring center in your area, you can get the quick response that you need from a reliable source. In addition, you can ask the company about which center it uses so that you feel the most secure. Finally, the system also provides you with 24/7 monitoring. With monitoring around the clock, you can feel confident that your home and family is safe and protected at all times. “No instructions, just opens to a password screen [the application] without telling what password to use or how to get it”. While these reviews certainly do give you a mix of perceptions regarding the alarm.com, overall they also point to the fact that most reviews are mostly experience specific. Those who have poor experiences with the product do so for certain reasons, but that does not mean that everyone is necessarily dissatisfied. 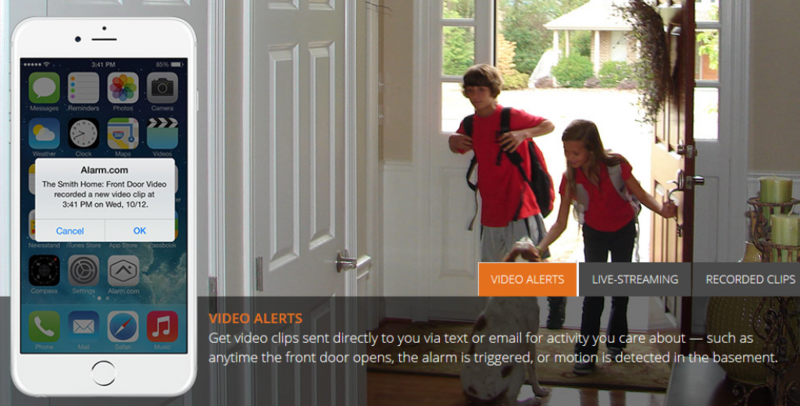 Overall, Alarm.com is changing the way that we look at home security. Rather than regulate security to a few specific areas, Alarm.com enables users to get the most out of their security needs through numerous capabilities. If you are looking for a high-quality, reliable, and user friendly option, then Alarm.com is certainly recommended. 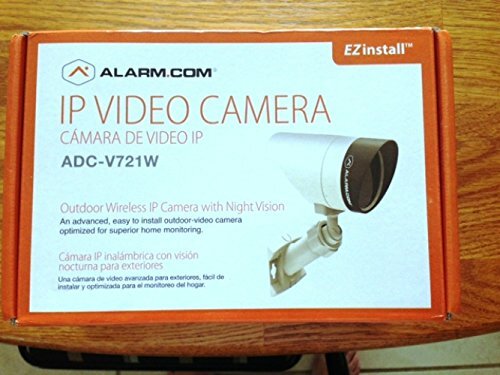 Works perfectly with a Simon XT or Simon XTi and can be programmed to record video when a door or window is opened or closed when the camera is connected to a home security system with award-winning LiveWatch alarm monitoring. No DVR required! Gives you full control of your home and allows users get the most of their security needs. Their equipment are reliable and user friendly. Customer support team tends to be slow in responding to issue and inquiries. iCamPro Deluxe Review: Flawless Home Security Robot, Is It?